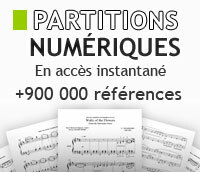 For 2 Treble Recorders (Flutes, Oboes, Violins) - Performance Score. By Jean-Baptiste Loeillet. Schott. 28 pages. Published by Schott. By Gordon Schuster. For Woodwind Ensemble. Duet for Woodwind Ensemble. TE. Level: 3.5. Published by Majestic Music Publications. 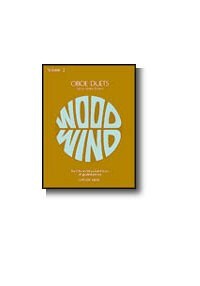 For 2 Treble Recorders (Flutes, Oboes, Violins) - Performance Score. By Jean-Baptiste Loeillet. Schott. 20 pages. Published by Schott. Popular and Traditional Holiday Favorites. Composed by Various. Arranged by Daniel Kelley. Duets. Music for Two series. Christmas. Score with 2 parts. Published by Last Resort Music Publishing (LR.46252). Popular and Traditional Holiday Favorites. Composed by Various. Arranged by Daniel Kelley. Duets. Music for Two series. Christmas. Score with 2 parts. Published by Last Resort Music Publishing (LR.46152). Arranged by Daniel Kelley. For Flute (or Oboe or Violin) and Flute (or Oboe or Violin). Duets. Music for Two. Wedding, Classical. Level: Intermediate/Advanced. Score with 2 parts. Published by Last Resort Music Publishing. Arranged by Daniel Kelley. For Flute (or Oboe or Violin) and Clarinet. Duets. Intermediate Music for Two. Classical. Level: Intermediate. Score with 2 parts. Published by Last Resort Music Publishing. Arranged by Daniel Kelley. For Flute (or Oboe) and Clarinet. Duets. Music for Two. Wedding, Classical. Level: Intermediate/Advanced. Score with 2 parts. Published by Last Resort Music Publishing. Arranged by Daniel Kelley. For Flute (or Oboe or Violin) and Cello (or Bassoon). Duets. Intermediate Music for Two. Classical. Level: Intermediate. Score with 2 parts. Published by Last Resort Music Publishing.